Fall image courtesy of photob, Morguefile. 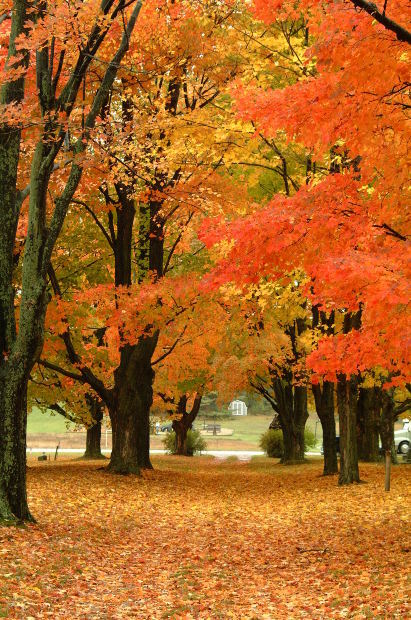 Fall in its spectacular glory has come to the DC Metro area. It always makes me think of students going back to school, shuffling through sidewalks strewn with brilliantly colored fall leaves in shades of orange, red and yellow. Fall also makes me think of a literary magazine workshop I once attended at the University of Virginia in Charlottesville, VA. UVA has some spectacular fall foliage around its campus as well as some stunning buildings, thanks to the influence of founder Thomas Jefferson. Plus, UVA’s had well-known people as its students, such as journalist Katie Couric, painter Georgia O’Keeffe and U.S. President Woodrow Wilson. One of UVA’s more well-known students is Edgar Allan Poe, who briefly attended UVA during 1826. His room is still preserved and protected by a glass door so that you can see inside the room. 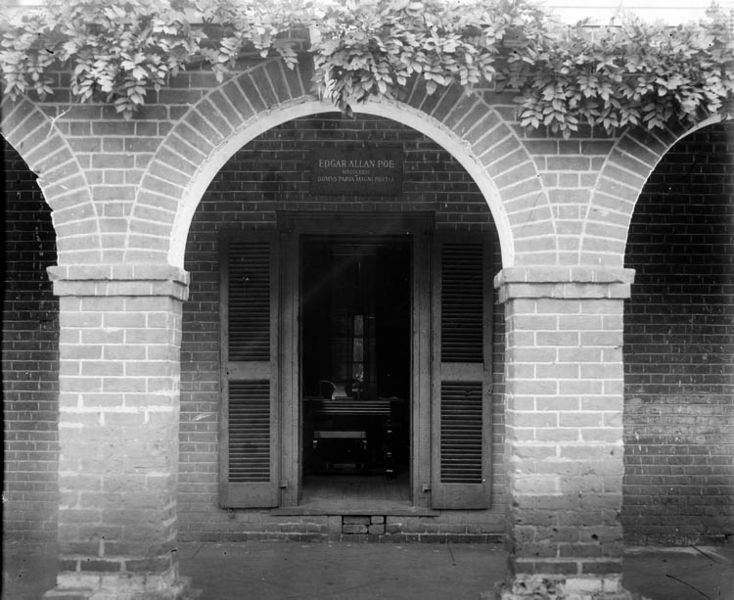 Poe’s West Range room at UVA, circa 1915. Image courtesy of Rufus W. Holsinger, Wikimedia Commons. UVA at the time was still young and going through some growing pains. According to the Edgar Allan Poe Society of Baltimore website, Poe studied different languages such as Greek, Latin, Italian, French, German and Spanish, went to classes and was friendly with other students. At other times, he would gamble at card games, visit the library, write home and visit with other students. Poe was also good at drawing. I sometimes wonder what it would have been like to be a student alongside Edgar Allan Poe. Did he fit in with the other students? Or was Poe more the kind of person who only had a few close friends? What did he think as he walked from building to building on UVA’s campus? Did the people he met at UVA influence his gothic writing style later in life? Most importantly, did anybody suspect that Poe would become so famous later on in his life? Some of his friends speculated that Poe would be a painter or a poet, but he became so much more than that. Poe was the father of detective fiction and one of the earliest writers to use the short story genre. But it’s for his macabre stories that Poe is best known. “The Cask of Amontillado” and “The Tell-Tale Heart” are still memorable to me for their creepy quality. And others still like these stories, too. Years ago, I walked through the building that housed the English Department at my own college. During some structural renovations, workmen removed part of a wall in the front hallway, leaving exposed cinderblock. Some comic put up a speech balloon saying “For the love of God, Montresor!” next to the cinderblock to imitate the hapless Fortunato. I guess I’m not the only “Cask of Amontillado” fan out there. Maybe we should form a society? UVA’s big on societies, especially the secret kind. I think they’d approve.